Does Mom or Dad Need a Companion? During your weekly phone calls, dad is always inviting you over to watch movies or do crossword puzzles with him – or mom casually mentions she’d love it if you came over to cut coupons or watch her favorite television show. When your elder is living alone, life could get a bit lonely. Friends are always nice to have, but if they don’t live close or your loved one is limited in mobility or transportation, it’s not usually an option. 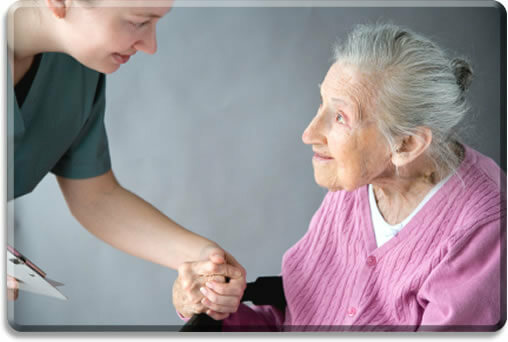 Did you know that home health care services include companionship? You don’t like the thought of mom or dad being home alone all day, as you’re afraid they could need help or be depressed and you don’t have a chance to check in. Even if your loved one likes to be alone now, there could be a chance that they develop depression later on due to the frequent bouts of isolation. Companion services pick up where you can’t manage – when a phone call isn’t enough or a weekend visit doesn’t give your loved ones the stimulation they need. Companion services can be something as small as visiting with your loved one for a day of conversation or offering to assist them in their favorite activities. Does dad miss having someone to watch old movies with him? Companion services provide professional, experienced staff to give your parent the comfort of conversation and companionship. While we all like to have our space sometimes, chances are your elder feels lonely and in many cases there’s nothing you can do about it as you juggle your own life and responsibilities. Is there something your mom or dad loves to do but you don’t have time to participate? Suppose mom loves to research genealogy – this is a great hobby for someone who has time, but if you’re swamped you don’t want to prevent your mom from enjoying her day. Companion services take the stress off you while giving your loved ones a chance to enjoy the company of a friend.